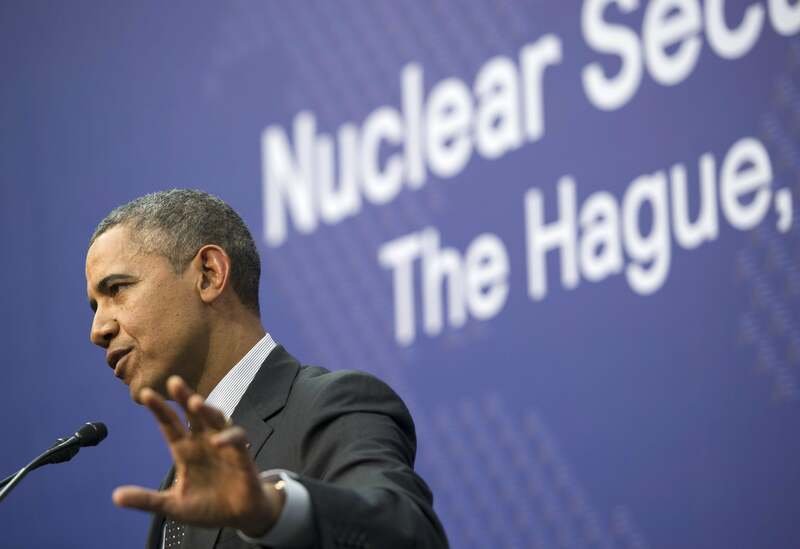 Russia as a geopolitical threat, take two: Obama says it's a regional threat, worries more about a nuke in Manhattan. Up to now, President Obama had avoided returning to the topic that bedeviled Mitt Romney in 2012: whether Russia was the “greatest geopolitical foe” of America. At the Nuclear Security Summit, ABC News’ Jonathan Karl got to ask about it, and got no breakdown or contrition. Over at WaPo, Aaron Blake says that the new Obama explanation puts him at odds with Regular Americans. According to recent polls, the American people are actually quite concerned that Russia’s “regional” fortitude will impact their own lives. A new Pew Research Center poll shows that 26 percent of Americans see Russia as an “adversary” and 43 percent see Russia as a serious problem that doesn’t quite rise to the lever of “adversary.” In other words, 69 percent see Russia as at least a “serious problem.” Just 22 percent disagree. Isn’t that a different question and answer? Most Americans would say that Iran poses a “serious problem,” and this is why our diplomats and spies spend so much time working on it. It’s also a regional power, with an economy the size of Sweden’s, that doesn’t pose any direct threat if you live in, say, any part of the United States. North Korea? A terrifying regional threat, with an economy the size of Tanzania’s. No, Obama’s answer is consistent with his strange (but politically efficacious) 2012 answer. He says the “prospect of a nuclear weapon going off in Manhattan” is a greater security threat than Russia, just as he said in 2012 that al-Qaida posed the greatest geopolitical threat. He keeps turning the conversation back from nonstate actors, denying that any country can be called a threat the way, say, the Soviet Union was. True! But pointless.